Nope, you weren’t conked out for too long, waking woke up with an extra month added to the calendar, LOL. But if you’re a business who has Filipino independent contractors, or employees, a 13th-month pay is a MUST if you want to keep your teammates from the Philippines happy and committed as a loyal member of your team! So if you want to keep growing a rocking virtual team and not have to hire a new cheap virtual assistant, pay what they deserve and what they’ve earned. 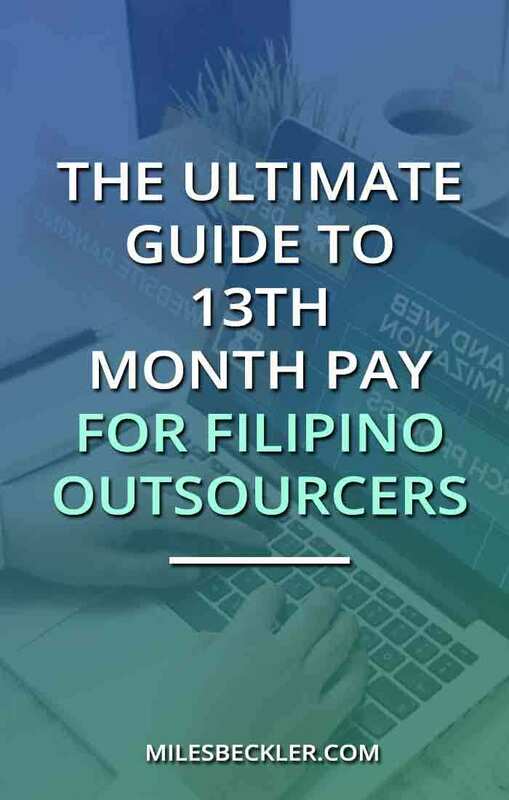 In this post, I’m going to teach you what this 13th-month pay for Filipino outsourcers is all about, why you not just should but have to pay it, and make 13th-month pay computation easy for ya. Let’s jump into what this 13-month pay law is all about! 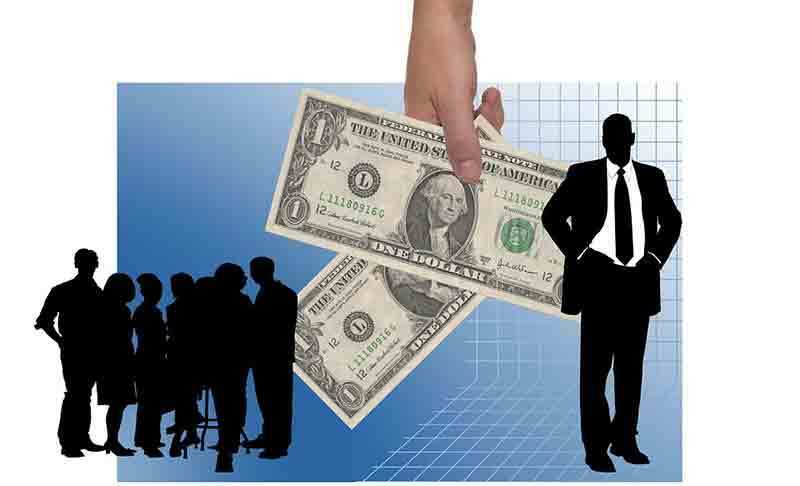 What’s a 13th-Month Pay Law? A 13th-month salary or 13th-month bonus is something unique to the Philippine labor laws. Filipinos work all year and come December, they receive an extra month’s pay from their employers. I pay my Filipino outsources by this cultural standard of a 13th-month pay, as do many US businesses with contractors based in the Philippines. You have to follow suit if you want to make sure your teammates from this part of the world stay with you. Who is Entitled to the 13th Month Pay? Who is entitled to the 13-month bonus? All of your Filipino employees and contractors! Culturally, this 13th-month pay is expected. This is their end of the year bonus and they are expecting you to give it to them just like every other employee and contractor in the Philippines does. If you’re not honoring their cultural expectations, there’s a chance they’ll walk away and go work for someone else who respects this 13th-month pay law. You don’t have to be a Philippines based company or small business to abide by this law. As long as you’re employing Filipino teammates, you have to pay up to keep them working for you and with you. End of story. Nurturing relationships with your contractors is the name of the game here. What’s the Importance of Giving the 13th-Month-Pay to Filipino Outsourcers? I have about 7 contractors from the Philippines whom I highly value because of their excellent work ethics, character and this whole concept of paying them well enough is a major ingredient to the harmonious relationship I have with them. A lot of businesses in the US, Australia, and some European countries outsource to Filipino workers. It’s a known fact that it’s much cheaper to outsource to a virtual assistant in the Filipinos than it is hiring a US contractor who can charge you $20 plus per hour compared to $4 to $6. The awesome thing about it, is you pay less but absolutely get quality results. Filipinos are hardworking and conversational in the English language, so there’s not such a huge language barrier compared to outsourcing to other countries. This is why once you have found your ideal Filipino employees, you need to do everything within your power to keep them. Meeting their cultural expectations of that 13-month pay is one way to do this. Even if they are contractors and not employees, if they’re an asset to your business, then it’s only fair that you give them compensation for the hard work they’re doing for your business. That’s why a 13th-month salary must be one of your priorities when setting your payroll budget for your business. 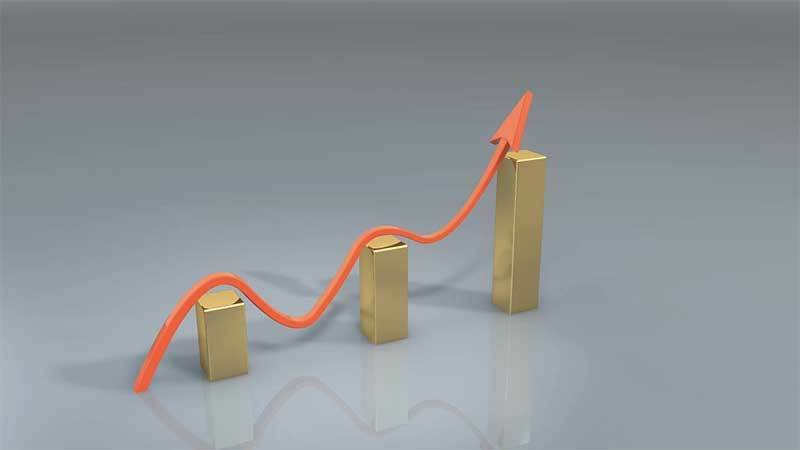 Focusing on the long term is the best way to go when you’re wanting to keep your key team players around who are really helping your business grow. When you get great teammates, cherish them. The last thing you want is to lose your rockstar teammates because you’re too cheap to pay them their 13th-month bonus at the end of the year. Then what happens? They decide to go look for a better-paying client. Remember that your contractors have families, financial obligations, and responsibilities outside of work. They put in their hours and energy for the tasks you assign to them, so it’s only fair that you give them what they deserve. Fail at reciprocating the great service they’re providing you by not complying with the 13th-month pay law, then you’re taking a wrong turn, my friend. They’ll hear about their friends who are paid much better by their clients, then they go looking for another employer and won’t hesitate to ditch you in a heartbeat. Then, you have to go through the long and tedious process of doing the job posting, interviewing potential teammates, training and hiring them, and getting them accustomed to your business culture. And if you have contractors leaving you on a regular basis because you’re not paying them well enough and not giving them a 13th-month salary, how can you ever make your business take off??? The constant hiring, re-hiring, training, and re-training people in your team take so much of your time and energy, which you could have spent growing your business and deepening the relationship you’ve had with your teammates who have been with you since day one. Fulfill their needs, keep your Filipino outsourcers and independent contractors happy, and they’ll stay with you for the long haul. In the Philippines, the labor laws state that this 13th-month salary has to be given no later than December 24th. You can pay as early as the end of November but personally, I pay my Filipino teammates their 13th-month bonus by December 1st. It can take up to two weeks for the money to get to them so I wouldn’t risk paying past that date. This is something I’ve been doing since I started my business, even when I was still hiring Filipino outsourcers on Upwork. It’s how I get to keep my rockstar teammates that are instrumental to my business’ growth. So how do you compute the 13th Month Pay? 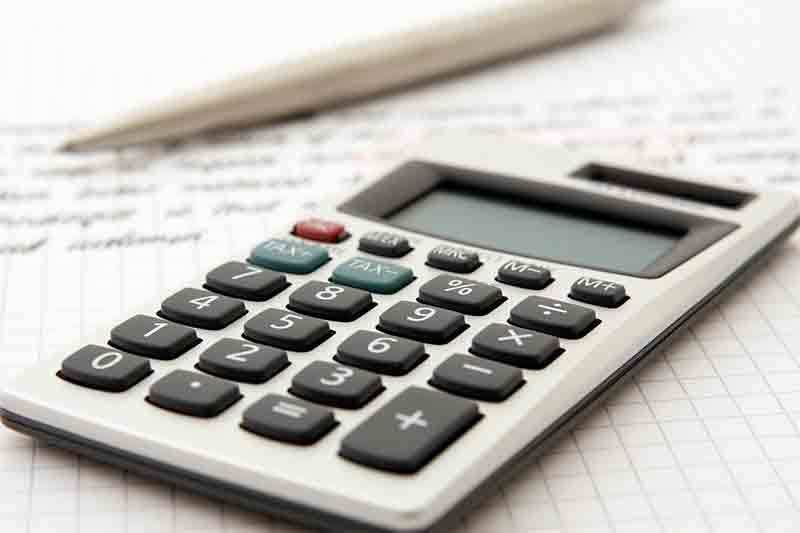 The simplest 13th-month pay computation is to look back over your records and check how much you have paid them in total and divide that with the length of time they’ve been with you. If you had someone on your team from Jan. 1st to end of November you want to take their total pay and divide by 11 (11 months). That’s the 13th-month pay. Say you have paid your Filipino outsourcer who has been with you all year $8,327. $757 would be the amount of pay for this employee or contractor. How to compute 13th-month pay with absences? Say your outsources began working with you on June 15th and you have paid them $3,375. They were not with you for the entire year. June 15th - end of November is 5.5 months. Hiring virtual assistants and empowering your team is a smart business strategy once you reach that level in your business. If you really think about it, paying your Filipino outsourcers their 13th-month salary won’t leave a huge dent in your pocket. Think long-term and maintain that desire to have dedicated and loyal people in your team who are there to help you grow your business. If you want to sustain as a successful online business owner, you need to value your employees, remembering that they have their own lives and obligations. It’s a huge gamble to play the cheap employer. In the end, it’s WAY more expensive to lose a good teammate and be forced to make new hires who may not deliver the same quality of work rather than paying your contractors their 13th-month pay law bonus. Plan accordingly to get their 13th-month payout to them before December 24th, be a fair and reasonable business owner keeping them loyal and hungry for work. If you have a team who wants to stick around and feels appreciated and valued, your business will thrive. Hope this post has been enlightening, opening your mind to a whole new concept that will literally change the way you deal with your contractors, for the better. Chat me up if you’ve got questions or insights, and drop them to me below in the comments section! In all due respects, your calculations appear to be unfair. If a worker who works 11 months @ $200 per month and earns a total of $2200 divided by 11 gets a 13month bonus of $200 why does a person who works only 2 months get the same. Should it not be simply 1/12 of your earnings. In Australia it was 10 hours per month holiday pay. (3 weeks per year) We had 40 hour weeks then. Let's simplify it a bit.... If they earn $200 per month, then I pay them $200 for their 13th month. I don't care if they have been with me 3 months or 11 months, I take care of my people! Because my people take care of me! Unfortunately, 13th month pay law is not unique to the Philippines. I live in Brazil, own a business here and have been through that same hell for the past 11 years. I thought the law was unique to Brazil. Based on your post, I notice we're not alone! How interesting. I never knew it was outside of PH. I kinda like it... It is a Christmas bonus for my team and it makes them feel so happy. I love it. It's a very great gesture of you. Yes they will appreciate it VERY MUCH. Aside that they are hardworking they will be loyal. Your good heart will last long with Filipino VA.